We understand Land Rovers and being based in the Midlands makes us well placed to transport your Land Rover. 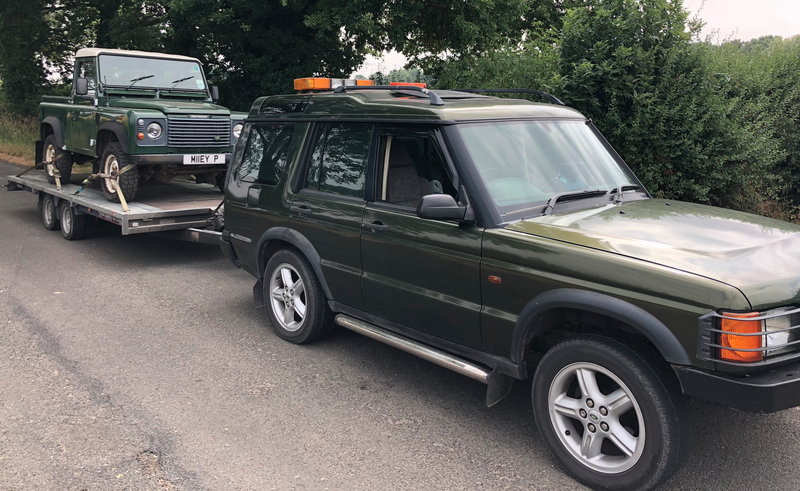 Not only do we transport Land Rovers that are coming to and from our workshop, we can also transport your Land Rover wherever you require. Our vehicles/trailers are winch equipped so we can move Land Rovers that are unable to move themselves! Also we can transport other vehicles just ask. Please contact us for a quote, stating the postcode for the collection and delivery, along with what model Land Rover you have and if it drives or needs winching.